For many reasons and musical contributions, Vybz Kartel name is forever embedded in the history of dancehall music, "music cannot be imprisoned." 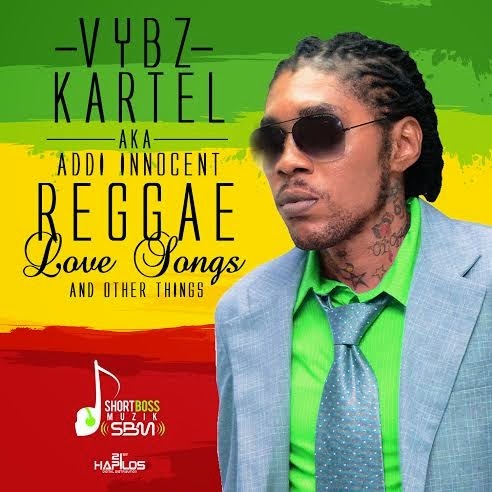 Short Boss Muzik label announced the released of a compilation of Vybz Kartel soft side on a 14 track album entitled, "Reggae Love Songs and Other Things." The album produced by acclaimed Billboard chart topping producers TJ Records, renowned So Unique Records, Bigga DonDon and Short Boss Muzik will be distributed by digital giants 21st Hapilos Digital and scheduled for release June 3rd. "Reggae Love Songs and Other Things" by Vybz Kartel goes on pre-order May 13th.